Come enjoy the beautiful Oregon coast with us! 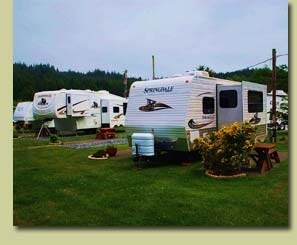 Port Orford RV Village is located in the city of Port Orford in a clean and tranquil setting ½ mile off of Highway 101 and just 2 miles from local beaches. 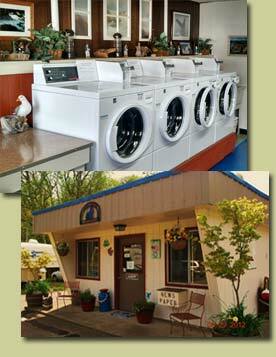 We offer many great amenties as well as a convenient, yet quiet, location and a real spirit of community. 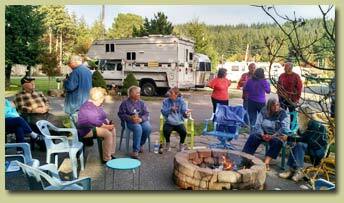 Come see us at Port Orford RV Village, the friendliest RV park on the Oregon Coast. 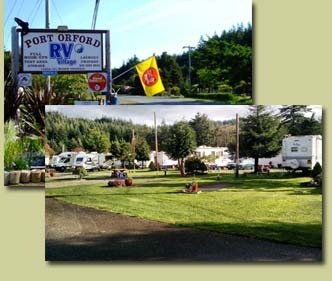 We welcome you to Port Orford RV Village. Owners Tim and Cindy live on site to insure a quiet and activity-filled stay. 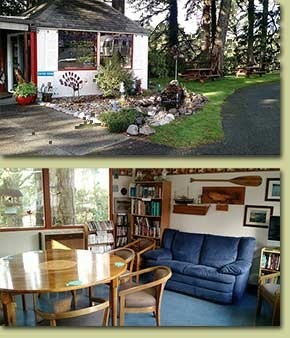 Here, you will meet friendly people, many returning year after year to enjoy this beautiful and laid back atmosphere on the Oregon Coast. We have complimentary coffee in the morning in our coffee room. The coffee room also has complimentary videos, books, puzzles, and games. We also have free Wi-Fi throughout the park. Our club house / recreational room has a kitchen and seats up to 30. We use this room for our very popular monthly park potlucks, and it is available for clubs and groups. Guest also use this room for crafts, sewing, quilting, and beading. We have a large, covered stainless fish cleaning area for your catch of the day. For outdoor activies, we have a large grassy area for yard games and horseshoes. Many of our guests return each summer to rekindle old friendships. Check our Calendar of Events for Details. Traveling north on Hwy 101: Turn east (right) on Madrona Avenue, continue ½ mile to park. Traveling south on Hwy 101: Turn east (left) on Port Orford Loop, continue ¾ mile to the park. 26-foot rental trailer available on daily, weekly, or monthly basis. Call for rates.